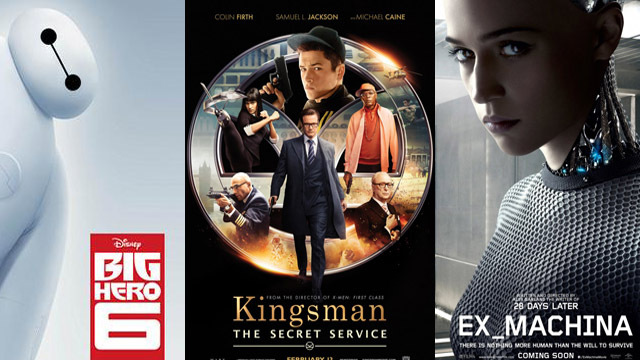 2015 Movies In Review: January / February | Warped Factor - Words in the Key of Geek. Over the next couple of weeks we'll be looking back at the big movies of 2015, sharing what we thought of them at the time and what we think of them now. We kick off, unsurprisingly, with the movies we were watching back at the beginning of the year, in January and February 2015. All dates quoted are for UK releases. I hold the unpopular opinion of believing Birdman to be way too artsy for its own good. As a rule, I'll watch anything with Michael Keaton in, he's a massively entertaining actor to watch and one who brings a unique quality to every film he's ever appeared in. But I just couldn't get past the pretentiousness of Birdman, or to give it it's full name Birdman or (The Unexpected Virtue of Ignorance) - even the title screams pretentiousness! 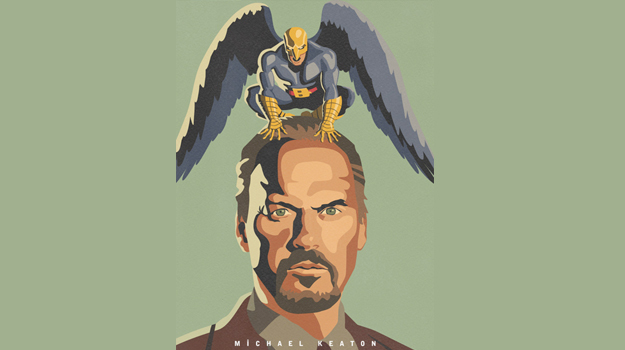 I found Birdman to be shallow, devoid of any substance, totally unfunny and almost unwatchable. Such a shame as the cinematography is incredibly clever, with a nearly seamless edit that gives the illusion that most of it was a single take, and an assembled cast who are all first rate performers. However, what I will say is that after watching it at the cinema I left with no doubt that it would win the Best Picture Oscar, because it is just that pretentious that Hollywood was always going to lap it up, even if they didn't actually get it. The Theory of Everything is, simply put, a fantastic, life-affirming film that is propelled forward by its inspiring story and the talent of the actors in the leading roles. Eddie Redmayne is fantastic as Stephen Hawking, I'm in awe at just how well he portrays Hawking getting worse in regards to his Motor Neurone Disease. From young Hawking before his disease hit, Redmayne's performance just gets better and better and by halfway through the film we are looking at a slouched Redmayne, slurring his words and occasionally smiling. By the end of the film we are looking at Redmayne playing Hawking as he is now, and the transformation is almost unbelievable. 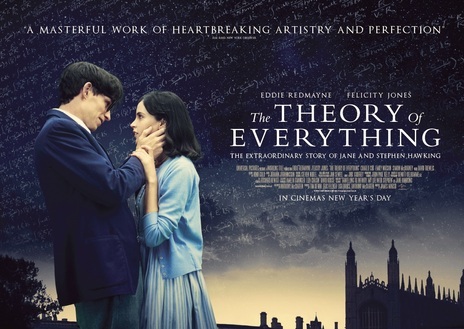 The Theory of Everything isn't all about Stephen Hawking and how incredible his life story has been, and indeed still is, instead the film offers part biopic, part love story with the latter telling us about the imperfect marriage between Hawking and Jane Wilde (also played quite magnificently by Felicity Jones). It's informative, enlightening, entertaining and truly one of the must-see movies of 2015. 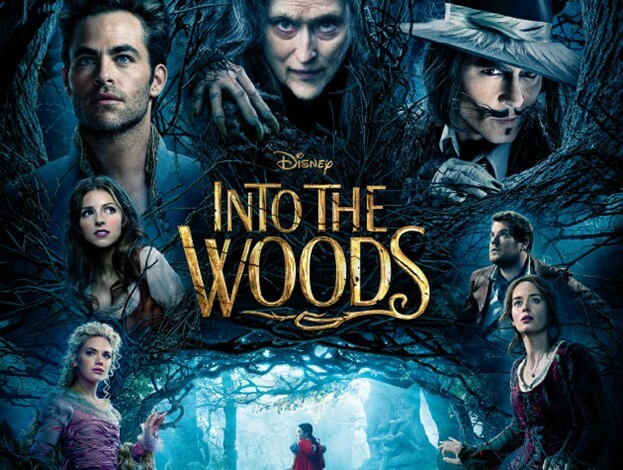 Into The Woods is a fun hour and a half, with some properly comic performances that undercut the ‘serious actor’ credentials of some of the stars. It’s worth seeing at least once if you’re a fan of fantasy stories, fairy tales or musical complexity. Otherwise – not one for you. Have you heard about that sci-fi film in 2015 starring Oscar Isaac and Domhnall Gleeson? Well, this is a different one. And it's absolutely excellent. 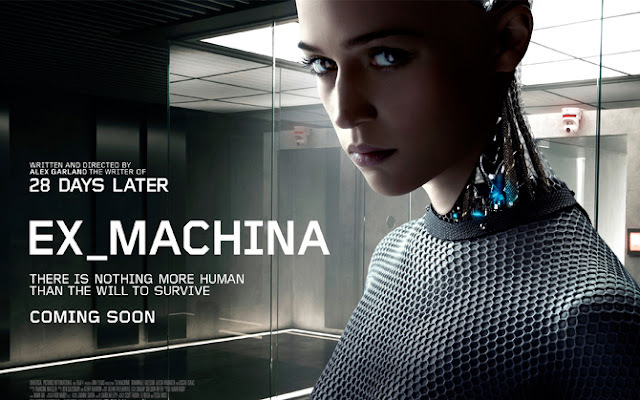 Isaac and Gleeson play a charming genius inventor and a quiet computer geek (no points for guessing which is which) who find themselves at odds over the notion of artificial intelligence - can Alicia Vikander's robot servant really think and act like an independent human? It's high-concept, weighty and thought-provoking stuff which comes to a fairly nightmarish climax. Highly, highly recommended. In many ways you could claim that this is to Bond what Game Of Thrones is to Lord Of The Rings, it's the same genre but with the brakes taken off. Kingsman: The Secret Service has the ingenious Bond gadgets and the suave hero with the ability to identify a rare brand of Scotch from just smell alone. It has the Bond-ish megalomaniac villain, complete with his deadly Hench-Women who has blades where her legs used to be. But in its execution it differs greatly. Whereas Bond has attempted on occasion to show the violence the job involves, understandably it has to stay within the confines of the franchise - there are no confines here my friend, and so no limit on the violence. Then there's the classic Bond double entendre, which has been (largely) replaced by very grounded, very true to character, filthy humour. 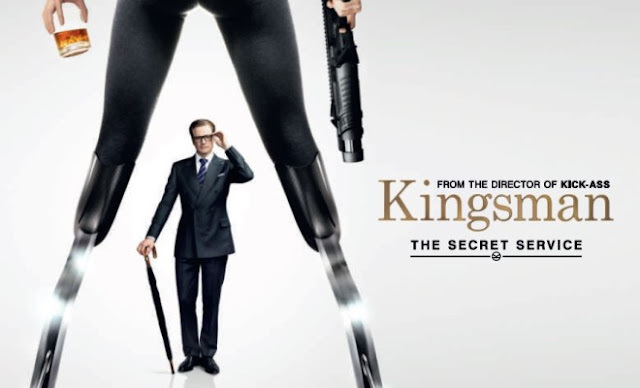 Frankly, Kingsman: The Secret Service is the most fun 007 movie you can imagine. Yes it came out in the US in November 2014, but it didn't reach British soil until January 30th. Still, Big Hero 6 was well worth the wait. You probably haven't heard about it, but apparently in 2013 Disney released this film called Frozen. Enough people went to see it for Disney's follow-up to officially be a 'Big Deal'. 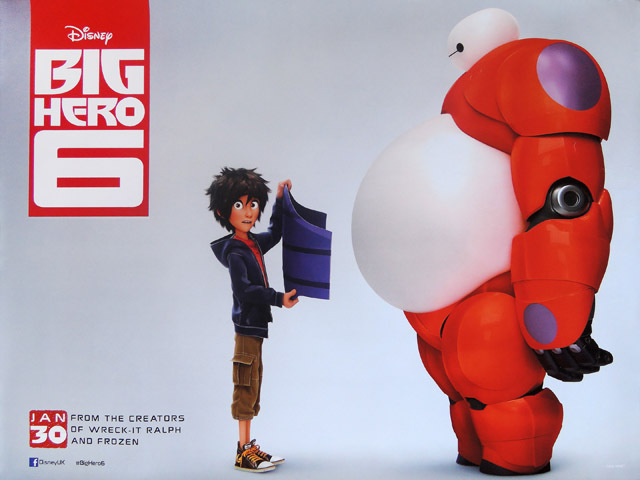 Thankfully, Big Hero 6 is just as good as Frozen in most ways and way better in others. Clearly embracing the current superhero trend, it cherry-picks the best aspects of that genre (team with various powers) and the best aspects of Frozen (Olaf becomes Baymax, and an estranged sister becomes a dead brother) to create a surprisingly wonderful film. 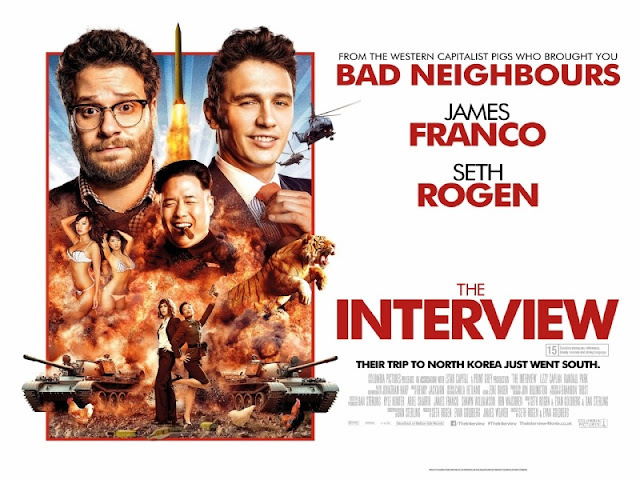 The Interview is a mind-numbing, controversial calamity that was banned from theaters in late 2014, eventually receiving a UK release in early February 2015. The plot surrounds two television personalities who travel to interview North Korean dictator Kim Jong-un, and are recruited by the CIA to turn their trip to Pyongyang into an assassination mission. Seth Rogan and James Franco reunite after successful pairing in The Pineapple Express and This is The End, and attempt to give viewers yet another taste of their comedic decadence. The third time is clearly not a charm. While some of the film’s moments are clearly hilarious, most of the duos antics are adolescent at best and infuriating at worse. Anyone with a mentality beyond that of a teenager will find the humor scarce. Sadly, The Interview will be best remembered for the hoopla that surrounded the film more than the film itself. Another film that I found very disappointing. If your idea of what makes a film good is huge explosions, pretty characters prancing around in elaborate costumes and beautiful visuals, then you're in for a treat. 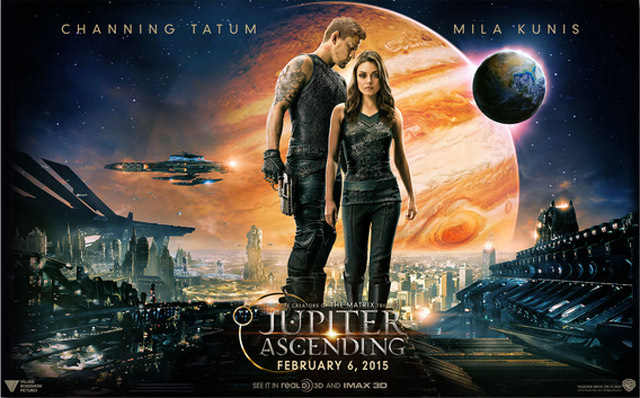 But if you give a hoot about plot, script and pacing then you'll struggle with Jupiter Ascending. On paper Jupiter Ascending had a lot of potential. Great cast, great directors, interesting concept. What we ended up with was a visual feast and nothing more than that. The Wachowskis really need to get back to the creative storytelling and treatment they showcased in The Matrix, rather than just focusing on the visual flash and bang. Once again Aardman puts the big US animation studios to shame with a movie featuring no dialogue outside of animal noises and occasional grunts. 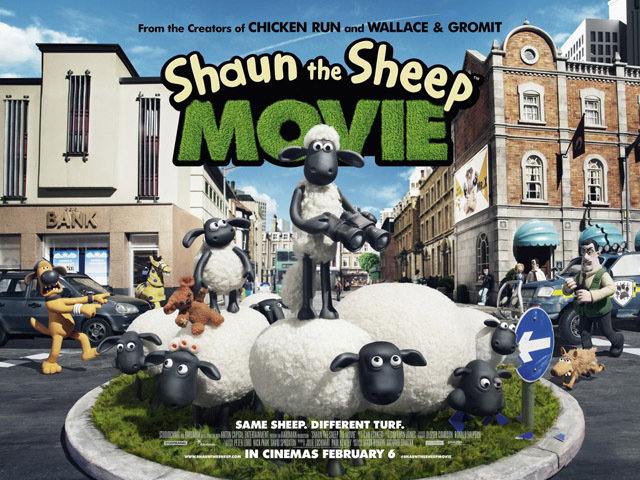 Running at a brisk 85 minutes, Shaun The Sheep Movie wastes not a single second, as all scenes play out pitch perfectly to achieve the story or comedy with no excess time spent. Despite being aimed primarily at children, I loved it. I give it 5 Baas (sorry, couldn't resist). It's the best animated feature of 2015. On Thursday we move onto March and April 2015. In the meantime, did you watch any of these films? And what did you think of them? Let us know in the comments below.